Corto let out a yawn from his mouth, he looked around searching the dogs he's gonna fight today. When he didnt found them, he at last stood up and let himself relax and wake up. "nice day today", he looked up at the skies and wined. Lupita had been taking it easy. Strolling through the leafy terrain, her paws barely making a sound. She wasn't too sure where she was, she was most probably lost, though she would never admit it. She may not have looked it, a bored expression had taken control of her features, but she was a little concerned, throughout her long(ish) search she had not found one single pack. Loners yes, plenty of them, they weren't much use though as they were either very old or too young. With a sigh Lupita finally stopped and sat down, her tail sweeping across the leaf ridden floor and curling around her body, ''I need to think ... If I were a pack, where would I be.'' Her statement brought forth a chuckle, she hadn't any clue in the slightest what she was looking for, not having actually lived with anyone other than Merrick, the old wolf who had taken her in when she was very young. Even if it had been against his better judgement at the time. Locksley strode back to the den, a hare draped from his maw, he had been hunting this morning and was going to spend the afternoon working on the borders again - a never ending job. 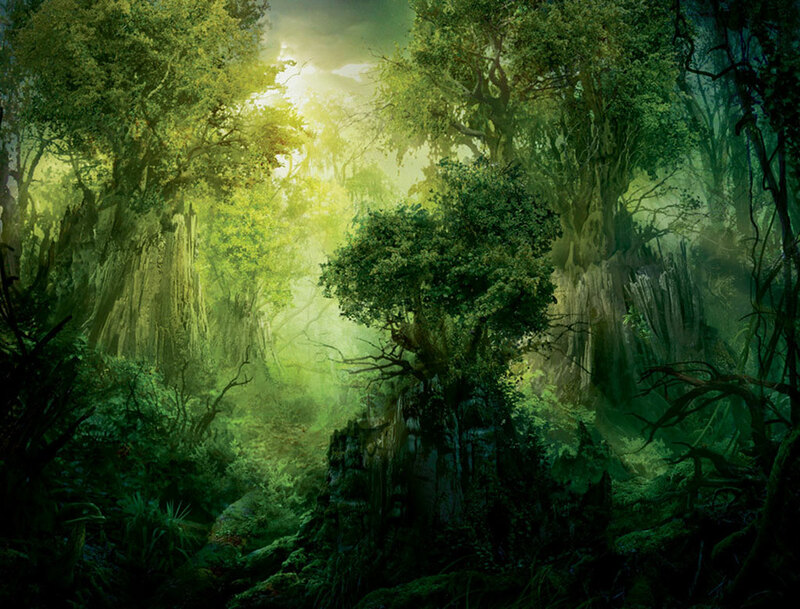 He sighed as he manoeuvred himself around a tree root, looking at it. A light breeze sent two scents to his nose. One a male, and one a female, but the two not together. His ears flicked. Could these wolves be the first to stumble upon his pack? Were they wanting to join a pack. His tail gave a quick wag of joy before dropping the hare and bounding to where the first scent had come from. The Female, she was closer than the male. He came across a tri-toned female. Cream, brown and dark chestnut. He looked her over quickly, having heard a chuckle from her just moments earlier. "Can I help you Miss? You are on my territory...." it had been a while since Locksley had come into contact with another canid, not even a scent of one in the past eight months. His ears flicked as his tail swayed behind him, waiting an answer from the female. Lupita whipped round to see another wolf, her ears laid back a little but over wise quite calm. "Can I help you Miss? You are on my territory ...."
''I suppose you could,'' she replied to the male, ''I have been searching for a pack to join for some time now, if your looking for members I would be more than willing to join.'' The female smiled lightly, she stood confidently but also kept herself a little lower, showing respect to the male. This was his territory and though she hadn't been in a pack, she knew how to act. Locksley smiled slightly as the female spoke. His ears flicked noting the respect that was being given to him by the female. "Um I am looking for members. I-I-I'm Locksley, King of this area, what is your name?" he stuttered slightly due to his lack of communication with others over the past months. He had to pause and think of the words he needed to speak, they didn't flow, his semi-husky voice only made it more obvious. He hoped the wolf would stay, he could get the pack he always dreamed of having up and running if she did. Her and the male that had intruded on the territory too. "Um I am looking for members. I-I-I'm Locksley, King of this area, what is your name?" Lupita nodded, ''Well, nice to meet you Locksley, my name is Lupita.'' Unlike Locksely who she heard stutter slightly, she found her words flowed easily. Lupita sat down and glanced around the area, a little unsure of what to do next. Magenta eyes darted to and fro as the silvery female ran over the vast plains that would lead to the breaking into trees. She grinned to herself as the trees became more than landmarks. Her breath heated her nose as she ran - from nothing, really. She ran for the pleasure of running. Like all, though, she had her limits. Besides, something had presented itself that was dragging her mind away from the brainlessness of the run. A scent - a wolf scent - had reached her senses. Slowing, she gazed about, wondering where the scent - now multiple - was coming from. She panted and tried to hear over the sounds of her heaving breath. "I'll find them later," she muttered to herself before plopping down onto the earth. That run had taken a lot of her energy, so she would let them come to her. However, the longer she waited, and the longer no one came, the more impatient she became. The noises continued, but they were stationary. Rising to her paws, she slipped casually toward the noise. Three. Two males and a female. One was already looking to be the leader-type, so she slipped to stand beside the tan female that spoke to him. Her ears perked curiously. Locksley and Lupita. Were they related? They looked like they could be. And their names were similar enough. "Well hey," she barked perkily. They seemed to not be threatening in the least, and besides, she could take them in a fight. Her confidence radiated as she grinned without the slightest hint of a challenge. She liked having company - it meant that she could show of. Corto looked up and sniffed the air. two females and a male. he sneaked up, looking at the wolves. "they seem so big, well, not as the great-dani i saw at the cannel, but they seem stronger", he wined to himself, looking at the adult wolves in front of him. Locksley gave a small nod to the female, as if to say 'Likewise'. The female's words had ran like cool water over pebbles, they were much smoother, smoother than Locksley's had ever been. He gave a small smile as a breeze lifted to catch his attention, a second female wolf was present in the current area. Locksley turned around to the scent to find the female talking. Locksley studied the new female over quickly, he turned fully around to completely face the female. She was a bluish colour with little speckles that covered her body. With his keen eyesight, the King was able to pick out a small crescent shape on the female's thigh. His head tilted slightly as he drew his gaze back to the female's eyes. "H-Hello... Who are you?" he said tilting his head, he had an entirely different idea for his words in his head, but it didn't come out the way that he had wanted. It never seemed to. Locksley sat, patiently and comfortable in his own environment regardless of the three intruders that had wandered onto his territory. Her ears perked at the male's awkward sense of conversation. Just how long had he been alone? "My name is Lumen," she announced proudly. She noticed that he was looking her over and felt a twinge of discomfort rise in her belly. Just what was he doing?! However awkward he may have been in conversation - perhaps due to not having much of a chance at it - the male seemed perfectly content in his environment. Though Lumen had already caught his name, she preferred to appear as oblivious to the information as one who had just mindlessly traipsed in had been. It was all a part of her game, of course. "And what's your name?" she asked casually. Lumen's magenta gaze flicked to the female - Lupita - that sat beside Locksley. "And is she your sister, per chance?" Lumen's silvery blue tail wagged casually as a comfortable smirk sat on her mouth. Oh, she was self confident, that was for sure, but she knew that too much of it could threaten her chances of being able to stay. The life of the loner did not suit Lumen too well. She had grown up in a huge pack, and when she had left - secretly - it had been the worst decision of her life. Ears flicking to bat away flies, Lumen held back a yawn, and consequently was left with one eye squinting shut and the other being strangely wide. The yawn fought back, and soon her mouth was wide with the exhaling of air. Cheekily, Lumen grinned at Locksley. He was not boring, she was just tired. Corto looked at them and giggled to himself "those wolves cant even sense me near?... the dogs in the cannel are better sensers then thease wolves", he decided he'll stay and see how they are going to contine. "well, its obvious that the magenta eyed female is fooling him, she was there all the time, and the other one, she has a nice coat, for a wolf. and prehaps the male knows that, and he just lets her fool him. oh, wolves, so diffrent from dogs", he tough and sat, looking and listening, quietly. Locksley tilted his head at the female. Lumen, and Lupita, could the two be related? They didn't smell like each other, so that was a low chance. The female seemed to be awfully full of her self. Locksley gave a small snort. He looked at her strangely, foreignly, it was not for her pelt colour or stature but her way of addressing others. Locksley had never come across a wolf that was like she was, and lacked to words and mental frame to comprehend it. "And what's your name? And is she your sister, per chance?" Locksley's eyes widended. Lupita, his sister? Not that he knew of. Sure they both had brownish pelts, but that was one of the most common pelt colours. He half got to his paws and moved from Lupita slightly. Looking at her, then back at the magenta eyed female. "She be not my sister. No siblings I have. Locksley I am called, Lupita she goes by" as his sentences lengthened words became harder for him to speak, as if he almost lacked vocal cords. But the sentences also become jumbled. He watched as the female struggled to hold back something. His head cocked. What on earth was she doing? It soon became clear that she was attempting to yawn. In which the yawn won and took over the female. He watched as it ended, and the female grinned at him. What was that supposed to mean? Locksley could read bodily expression but not facial ones. His ears flattened as he wondered what was supposed to happen now. Who's turn was it to speak? What were they going to speak of, and more importantly, would he understand them? Looking over the magenta eyed female's shoulder Locksley spotted another canid, a strangely built one. It was the male that he had scented earlier. He gave another snort, his blue eyes cast upon the brute. That one was different indeed. As he looked again he saw he caught the other male's sigh. he smirked, as he did in the cannel when someone looked at him. "no need to give me that look, i recieved it to many times", he tought to himself and walked away. he sat and looked at the sky. "they may be nice, I've never even bother to try talking to them... well, I was only teached to fight others... I guess its not such a surprise", he tought to himself. "She be not my sister. No siblings I have. Locksley I am called, Lupita she goes by." Lumen's ears twitched. So the two were not related. Now that she looked closer, she could see the subtle and not so subtle differences. The way that Locksley seemed to speak was something of a discomfort for the male. But there was something that drew her attention from that. Following the male's gaze, she turned to see the figure hiding in the brush. It seemed different from the average wolf build, which made Lumen immediately curious. "So is this a pack that you're building here, Locksley? Or are we unwanted visitors to your solitude?" she asked, not taking her eyes from the shape in the bushes. The creature in the bushes seemed to realize that the two had noticed it. Her? Him? It was a canine, that much she was sure of. "So is this a pack that you're building here, Locksley? Or are we unwanted visitors to your solitude?" Locksley looked at the female. How come her words flowed so easily and his did not. Why did he have to think of each individual word before saying it. She seemed to follow his gaze. The canid moved back through the brush, and Locksley frowned, why would it disappear? Was it cowardly? Shaking his head Locksley returned to the question at paw. "A pack...Oh yes I'm making a pack!" he announced happily, partially because he spoke somewhat properly and partially because he had his first member. "D-Do you want to... to uh... whats the word when you become part of something?" The chestnut male had forgotten the word that needed to be at the end of his sentence to ask the female if she wished to be part of the pack. He had it in mind, but no idea how to put it into words. "A pack...Oh yes I'm making a pack!" The magenta-eyed female smiled. Locksley seemed glad to announce that he was indeed trying to make a pack. Turning her attention from the creature in the bushes to the male, she let her tail wag. Perhaps his broken speech was from not speaking the same first language as her. Or, it was just from disuse. "D-Do you want to... to uh... whats the word when you become part of something?" Lumen frowned. Maybe it was the language thing. Her head tilted to the side, "To join?" she suggested with a slight hint of a smile. Lumen decided that she liked Locksley. "If so, then yes, I would be honored to become a part of your pack, Ser Locksley," she barked cheerily. There was not, however, to be forgotten the male in the bushes. Her gaze slid over there, hunting for him. Why was he not approaching? Was he afraid? Maybe he's toying with you she thought, glancing over at Locksley. Did he know that canine in the bushes? To join? ... If so, then yes, I would be honored to become a part of your pack, Ser Locksley,"
"Will you two come with me to find that other male?" he said looking back at them, he had already taken a few steps ahead. His ears flicked as he stood waiting a reply. Corto looked back as he heard a mumble, from far, "tha... other... male? ", he heard. He then stood up, "so them wolves did sense me by... yet that one cant use many words", he giggled to himself. "silly wolves, think that I deserve to searched for", he mummbled to himself sadly. "Sure Lumen.. you can uh.. join us! 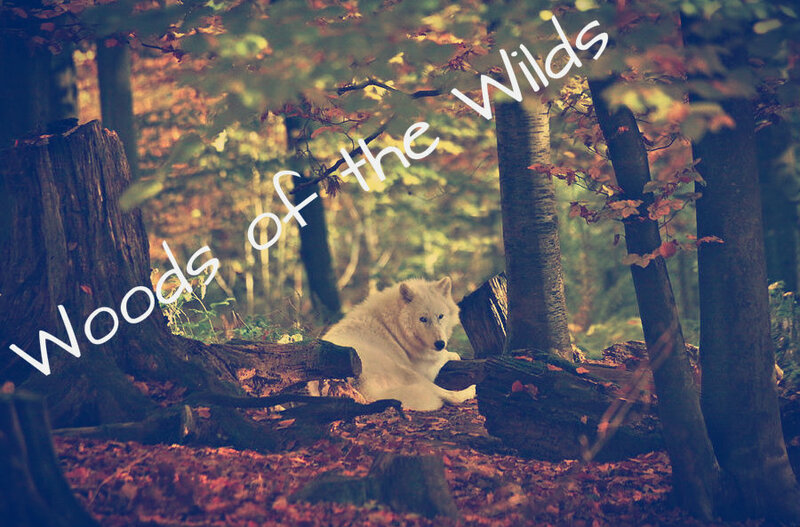 The Pack is called "The Woods of the Wilds." Will you two come with me to find that other male?" Lumen dipped her head and looked after Locksley into the area where that other male had been. With ease, she moved to his side. With a glance over her shoulder at Lupita, she wondered if the other female was coming before standing by Locksley's side. Taking a few steps to pass Locksley, she noted that the male in the bushes had stood. "Who goes there?" she questioned loudly. If he did not hear her, then she would have to be left to assume that he was deaf. If that was the case, then this very well may have been a lost cause. She was in front of her new leader and then realized that she no longer flew solo. This was his territory, not hers. Pausing, she let the tawny male get a few paces ahead and let him take charge. This was, after all, his pack. However, Lumen was very ready to attack at command. Lupita had let a small smile slip when the other wolf, Lumen, had questioned about whether she was Locksley's sister, she didn't say anything just watched as Locksley seemed to find it harder to talk. The only time she spoke was when the male asked if the two females would help him find another male. At first she was a little confused, then she caught the scent of another canine and gave a small chuckle. ''Yes'' she replied as she watched the other wolves begin to head in the direction they guessed the other male was. She stood up and shook herself, setting a steady pace as she followed the two wolves, completely silent her eyes searched the shadows of the bushes, taking in the outline of the male. Locksley looked as Lumen walked to his side dipping her head slightly, the male somewhat copied lowering his head to see if he could see anything more in the brush ahead. Unfortunately not, even with his keen sight it was simply too thick to see through. Locksley moved forth as Lumen had, keeping at her side, just as she kept by his. Locksley looked at the female a little strangely, but it didn't matter, he finally understood that she was talking to the other canid that hid in the bushes. Deciding it best the male mimicked her, in his best impression of the female that he could do. His voice was husky like so it didn't turn out to good as he spoke, but came squeakily. "Who goes there?" he called the same words in the same frames as the female had. He peered forth, now knowing that Lupita had joined as well. Locksley moved forth, as if he was stalking a hare or small mammal, chest and belly lowered to the ground, stalking forth with great accuracy, hardly a sound lifting from his paws as he placed his hind ones where the fore had been exactly. His breathing was slow and inaudiable, ears flicked back against his neck as he moved forth more. Locksley soon saw what canid lurked in the forests with them. The male that he had scented earlier was a strange looking one, not by his colouring but by his stature and built. He wasn't built like a wolf, he must of had something else in him. He was some sort of Hybrid. Locksley continued to hide under the bushes, tail flicking behind him, wondering what on earth he was supposed to do next. The male lay on his belly thinking about it momentarily. He figured that he may as well greet him the way he did Lupita. Moving forth out of the bushes and straightening his posture the male stood tall, well taller than what he was. His chest puffed out. "I am Locksley, King of these Woods. W--" Locksley had once again lost the words that he was to say. He flicked his tail in frustration, before trying differently. "Your name? he blurted out quickly as if he was about to loose those words as well, he grinned as if he had beaten something to the words, before sitting and raising a his white for paw to rub his muzzle. Two bright green optics waltzed across the forest. Healthy trees stood tall with sunlight seeping out through their leaves wherever it could. The ground was covered in quite a thick layer of leaves. Sourava, a gray and mahogany female wolf, knew that these leaves time of life had ended. Her mother had told her that everything had a life span. She had also told Sourava as a young pup that after the leaves fell, it meant fall was coming. But now this lass was five years of age. It was time for her to move on and look for a pack. So far she had been traveling several days and nights. Because Sourava's mother and father had died of the same disease, she was left to take care of her younger brother by herself. The lass was supposed to have left her family about three years ago. Instead, she raised her brother kindly. In Sourava's mind, if her sibling didn't make a good life, she didn't. Following her mindset, Sourava's brother eventually grew old enough to find a pack. The two had gone off in opposite directions, but with all her heart, Sourava hoped to see her dear brother again. She had raised him well, at least in her opinion. Returning to the reality of everything, Sourava took a whiff of the air. It was pasted strongly with the scent of canine. Was there a pack here? Sourava hoped she could join them. She had been hoping to for three years. Thoughts spun inside the female's head. Would she make friends? Would she be appreciated? And most of all, would she get to run like she so loved? That was another thing. Sourava loved running. She had been dashing and dodging and jogging and skipping since she was merely a young child. The feeling of the breeze through her fur was something she worshiped and could never get over. No matter how hot it was or how cold it was or how hard the breeze was actually blowing, it didn't hold pack Sourava's happy-go-lucky attribute. Autumn trotted quietly though the forest. Once again curiosity about other wolves had gotten the better of her. She promised herself she was just going to watch them for a while, getting away before they even noticed she had been there. Sniffing the air, she knew she was nearing where the others must have been. The sounds of their voices were getting louder as she drew near. "I am Locksley, King of these Woods. W-- Your name? The sound made her freeze in fear. Had they noticed her already? Had she gotten closer than she thought without realising it? Did she have enough distance for a clean getaway? Her thumping heartbeat began to slow as she realised it wasn't her the male had been talking to. Moving forward again she peered through a bush at the group of wolves with her rainbow hued eyes. I am Locksley, King of these Woods. W-- Your name? He laughed to himself, looking at Locksley, "Corto" he replied, "what brings you here, talking to some canid that isnt even looking like a wolf? ", he snarled softly, standing up, "I look diffrent, arent I? ", he said more than asked. He knew how others looked at him, as another canin, but stangely build, he hated it. "Anyway, nice to meet you Lock", he continued, looking at the other females and trying to find out what's wrong with them, with his diffrent colored eyes. he remembered that moment, when the people working at the cannel did that test on him, when he was a pup, so at least 'it'll be an interesting champion' they had, he still has that pain in his right eye, an unwanted pigment.